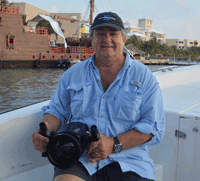 Editorial – October 2016 | Dive Industry Association, Inc.
Every year at this time, the diving industry is getting ready for the DEMA Show. Still the largest face-to-face marketing opportunity we have in the industry, it is something to take very seriously. Trade shows are expensive to exhibit at but the return on investment could make it all worth while. And then some. To put it simply – Trade Shows Work. I’ve been a Business Consultant for 35 years now. Being a consultant is easier than being in business, by far, unless you are running your own consulting business. Then you are on the same level playing field as your clients. It’s all about putting food on the table, keeping a roof over your head and putting something away for retirement. Not only do you have to help your clients start, grow and succeed in their businesses, you have to do the same for yourself. In the last 35 years I learned a thing or two about starting and growing a small business. As the Marketing Director of a large certification agency, I was responsible for their Retail Association, helping our clients grow their businesses by buying more of our products and services. At the end of every month, I got a paycheck from the company. Years later, as a Senior Business Consultant for a major University, I had an opportunity to help hundreds of small business owners from various industries to start, grow and succeed in their business, by utilizing the proper tools and techniques for business growth. Tools & techniques that I understood how to use and tools & techniques that helped my own business to start, grow and succeed. During my University days I had the opportunity to attend professional development seminars, workshops and courses that made me a better and more informed consultant. I was put in a situation that required I learn new things then teach what I learned. The strategy was pretty ingenious. 1. Learn something new from different industries on a continual basis. 2. Interact with Authors, Experts and Business Leaders and learn new tactics that improve businesses. 3. Start your own corporations and put into practice the things that you learned. Enjoy successes and experience setbacks. 4. Consult and Teach aspiring Entrepreneurs to start, grow and succeed in their business ventures. Those six to seven years were my most productive years in the business development field. Building a small business is a lot of work. It takes a significant amount of time, money and manpower. We all have limits to our resources so we need to do the best we can, with what we have, and get the maximum results from the minimal amount of resources. That means we have to work smarter so we can play harder. Getting ready for the DEMA Show every year, I take the month of October to revisit two of my favorite tools. 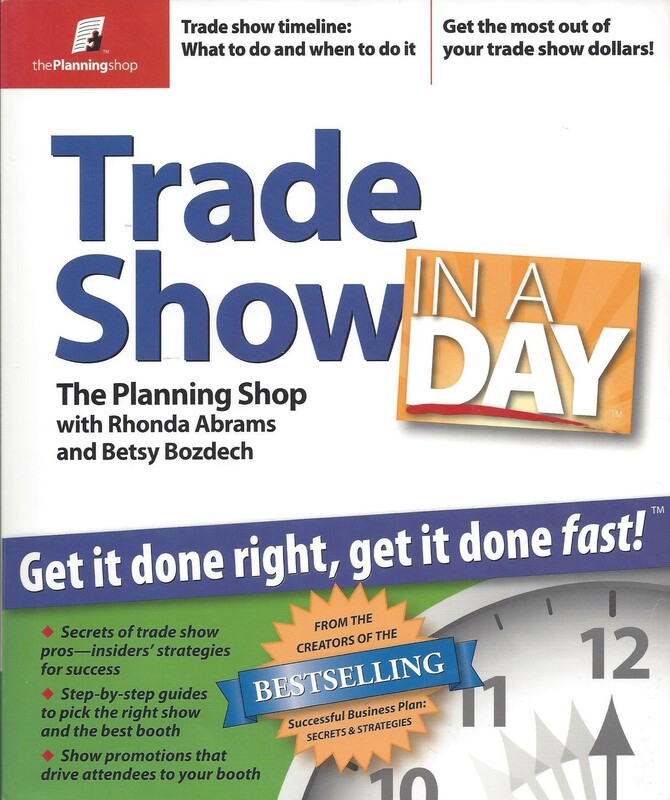 The first one is a book by Rhonda Abrams called Trade Show In A Day. Written by Rhonda in 2006, I received a copy from her in March of 2007. Rhonda taught me the difference between a Trade Show and a Professional Development Conference. She showed me how to pick the right trade shows and how to create marketing promotions that work. The biggest thing I learned from her was the concept of looking at every trade show as a three point process; 1. Pre-Show. 2. At-Show. 3. Post-Show. Focusing on these three points every year reminds me to tell my potential clients I am exhibiting at a show, where I will be and giving them a reason to visit my booth. It helps me to focus on the purpose of exhibiting at the show and what I want to achieve. It also reminds me to follow-up, follow-up and follow-up on all leads I closed and did not close at the show. 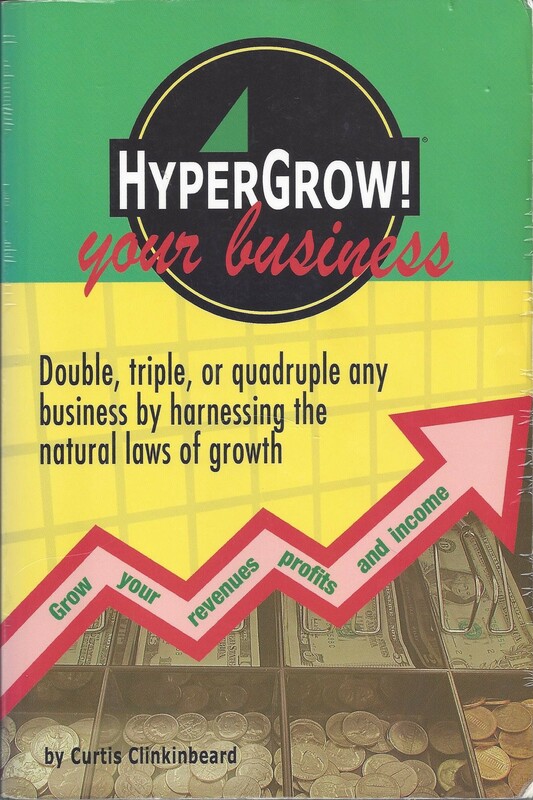 The second tool I like to review every year before DEMA is HyperGrow Your Business, by my friend Curtis Clinkbeard. This book was published in 2005 and I have been teaching it in Seminars and private consulting sessions ever since. The 9 laws of hypergrow include focusing on growth, maximizing value, perfect pricing, productive relationships, competitive edges, connecting with customers, managing expectations, learning from the market and coordinating growth. What every exhibitor needs to know during the three step process of a trade show, is how to segment your customer base into current customers, former customers and future customers. I prefer to call them clients or Members and the reason I exhibit at Trade Shows at all is to connect with my Current Members (Retention); reactivate my Former Clients (Reactivation); and acquire New Clients (Acquisition). Mastering the three types of Clients will forever change the way you do business. Reviewing these books every year before DEMA enable me to look at them with my current perspective in business. I learn something new every year. If you are attending the DEMA Show this year in Las Vegas, please stop by the Dive Industry Foundation Booth # 4225 and let us tell you how you can get FREE Business Consulting for your dive business through the Foundation. We are well versed and educated employing the modern tools and techniques used by successful businesses, in many different industries, worldwide. This entry was posted in Business Improvement, Editorials, Trade & Consumer Shows. Bookmark the permalink.